Wanna hear a corny spring time joke? Why did the farmer bury all his money? To make his soil rich! Okay, all jokes aside, we all know the farmer is calling up Bootstrap Compost and asking for extra shares of compost. Speaking of Bootstrap, this week I have been busy calling up different institutions to get our compost tested. I ran a mini cost-benefit analysis about acquiring our own compost testing kit! I’d have to say though that this week, the best thing I have done is go out on pick-ups with Bootstrap ops manager Faith, where I was spoiled silly with lunch on Bootstrap. If you want free lunch and you’re an intern, raise your hand! 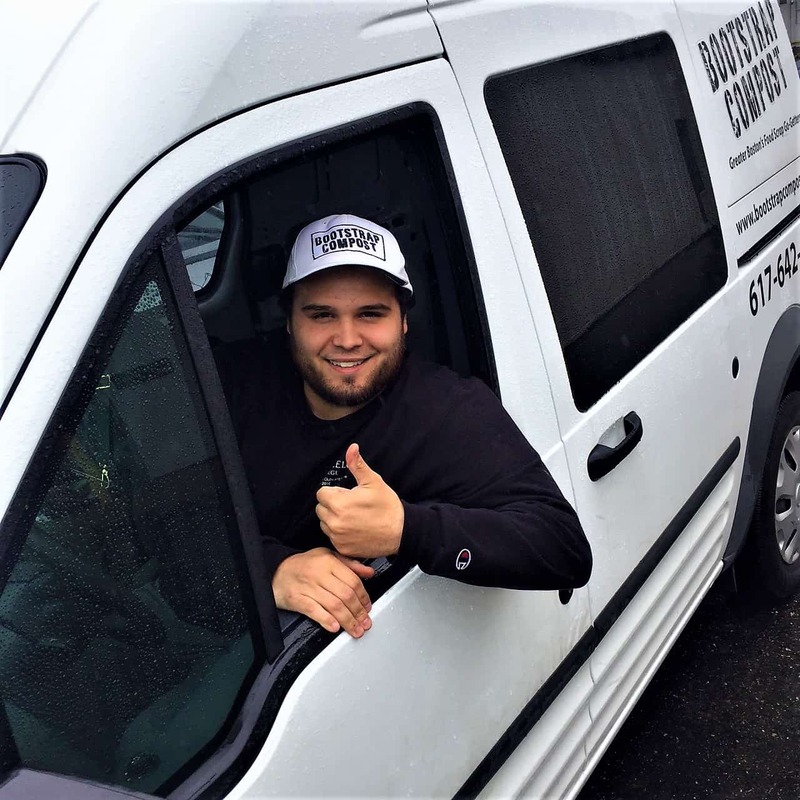 Though networking may not seem exciting, it is an important part of any job or career, and I was excited to have the opportunity to reach out and inquire about having our compost sampled. I set out to call the colleges in the Fenway area because Faith and I have connections at Simmons and Wheelock College, respectfully. Well, my adventure in cold-calling started a bit rocky. I hit up one college – I won’t name names – and promptly got yelled at. So I reached into my own network. I called some of my old professors at Wheelock as well as Simmons College. This time, I was met with gratitude and I was able to get in contact with one of Faith’s old professors, who shed some light on the topic of compost testing. As the old saying goes, it’s not what you know, it’s who you know. Looking for other alternatives, I took some time to research soil-testing kits. Call me a nerd but I genuinely get excited about this stuff. 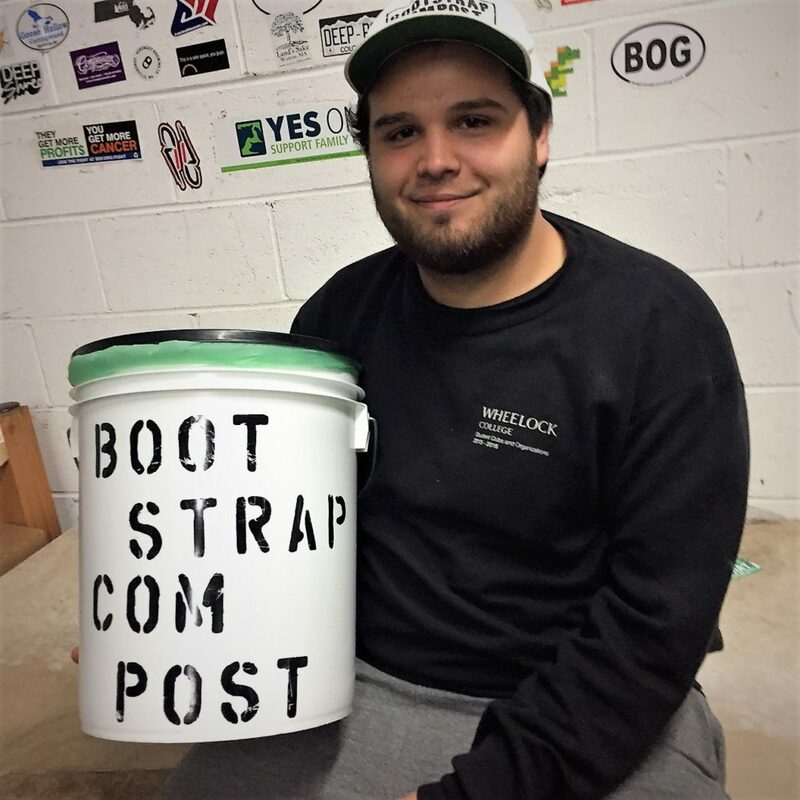 Maybe it’s the long game – envisioning a day when Bootstrap is able to test compost at our own facility. However, with my cost-benefit analysis complete, I decided that for the sake of efficiency and quick results, we will continue to send out our compost. Who knows what the future holds, though! Now, to the important part of my week, free lunch! I mean, going on pickups with Faith. I appreciate the time spent in the vans because it is a very different dimension to the job. As someone who is interested in sustainability, it gets me thinking about alternative methods for transportation, efficiency, and overall customer happiness – because that’s what the “pickup artist” position is all about. Humbling, in a way, and awe inspiring, because it showed me how complex it is to run a company with 2,000+ accounts. Since I have spent most of my time in the warehouse, on the computer or on the phone, doing pick-ups first hand has helped everything make a lot more sense. It’s all come full circle! From researching soil testing kits to hitting the road and serving our clients, a day in the life of a Bootstrap intern can be tough work. The all-time best part of being a Bootstrap intern though is the food and in this case, I don’t mean the scraps. Outside of the constant stream of Doritos flowing into my belly at HQ, Faith was generous enough to buy me a lunch post pickups (only after I worked my fingers to the bone setting up addresses on the Garmin. Woof!) Honestly, I really did enjoy getting out with Faith – there is something relaxing about leaving the facility. As a Boston transplant, it’s nice to get out of the warehouse and see parts of the city that I might otherwise not see. Anyway, time to jet for now, but stay tuned for more from Josh, coming your way in a couple weeks! And if you’re not caught up, see some of my previous posts here. Previous PostThe BiG Stink: It’s a BioPlastic…but is it Compostable?